The attack on Pearl Harbor was perhaps the most defining event of the 20th century. It brought the United States into World War Two, which changed the balance of power in the world and made the US a global superpower. It is hard to imagine a 24 hour period more intense than what President Franklin D. Roosevelt went through between the Attack on Pearl Harbor and the Declaration of War on the Japanese. Learn about the attack, the history of Pearl Harbor, her heroes and about visiting this important site. December 7th, 1941 is truly a date which will live in Infamy. The Japanese sneak attack was aimed at destroying the US Pacific Fleet based in Pearl Harbor Oahu. At 7:55am fighter pilot Mitsuo Fuchida shouted “Tora, Tora, Tora”, meaning tiger, the signal that the attack caught the Americans by surprise. Many ships were bombed, but the most horrific was the bombing of the battleship USS Arizona on which 1,177 men perished. More information about Pearl Harbor History. Over 1 million people visit Pearl Harbor every year. Pearl Harbor is an active Navy Base, with memorials and museums. The most popular site is the USS Arizona Memorial, the central symbol of commemoration for the casualties of the Pearl Harbor Attack. Pearl Harbor is open every day except New Years Day (January 1), Thanksgiving Day, and Christmas Day (December 25). The Pearl Harbor Visitor Center is open from 0700 to 1700 (5:00 pm). The last program to the Arizona Memorial begins at 1500 (3:00 pm). Visiting the Pearl Harbor Historic Sites is best done on a guided tour. The sites located on Ford Island including the Battleship Missouri Memorial, The USS Oklahoma Memorial and the Pacfic Aviation Museum are not accessible by cars and can only be accessed by authorized shuttles and tours. For more information on visiting these sites, click here. The Arizona Memorial is the iconic site commemorating all who gave their lives for us during the attack on Pearl Harbor. The Arizona Memorial Sits above the sunken USS Arizona. It is reachable only by a boat ride, which is included in the guided tours. The Arizona Memorial can be visited daily and is a place for quiet reflection. A visit to the memorial follows a dramatic movie about the attack on Pearl Harbor. It is highly recommended to book a tour to Arizona Memorial in advance as the tickets are often sold out. Nicknamed the “Pearl Harbor Avenger”, the USS Bowfin Submarine was launched on December 7th 1942; 1 year after the attack on Pearl Harbor. Now a museum, the Bowfin is permanently homeported at Pearl Harbor. Book a tour that visits the USS Bowfin Submarine Museum and experience what life was like underwater during World War Two. You can go inside the submarine, inside the museum and see the missiles and other exhibits of the USS Bowfin. The USS Missouri was the last battleship commissioned by the United States. It is now located near the Arizona Memorial on Ford Island, a fitting location because the USS Missouri is the site of the Japanese surrender ending WWII. We offer numerous fascinating tours that visit the Battleship Missouri Memorial. For more information on the history of this important battleship, click here. Featuring a fascinating collection of vintage aircraft, the Pacific Aviation Museum is located on Ford Island in the original hangars that were shot at during the attack on Pearl Harbor. The museum has flight simulators, a gift shop and a cafe which is a great place for lunch when visiting Pearl Harbor. Due to current security measures, visitors cannot drive to the Pacific Aviation Museum. Authorized Tours have security clearance to drive to Ford Island for a visit to the Pacific Aviation Museum. Pearl Harbor is the most visited site on Oahu. There are numerous attractions, memorials, exhibits and sites to visit at Pearl Harbor. We strongly suggest that you do not show up at Pearl Harbor without booking a reservation in advance. It is very common for all of the programs to be sold out. Planning ahead and booking a tour will help you avoid hassles. The preferred way to Visit Pearl Harbor is on authorized Pearl Harbor Tours. Guided tours provide transportation, historical narration, tickets, and additional information to make your experience efficient and memorable. All of our authorized Pearl Harbor Tours include the Arizona Memorial Program as well as transportation, narration, guides, and all admissions. Alternative ways to visit Pearl Harbor include the city bus, taxis, and driving and parking. See Plan Your Visit for more information about these options. Pearl Harbor is located on the Island of Oahu. 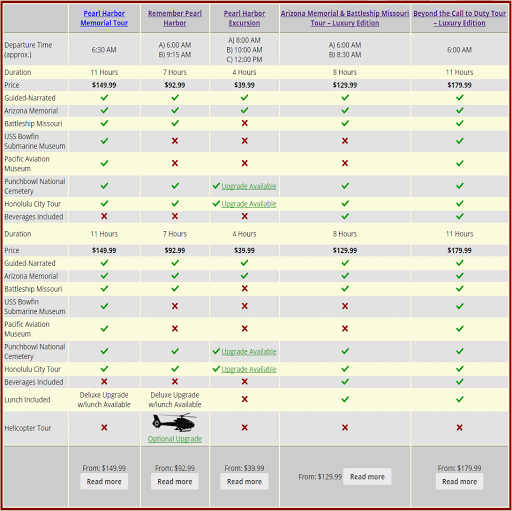 If you are staying on Maui, Kauai, or the Big Island, you can arrange a visit to Pearl Harbor including flights. Depending on the time of year, tickets can sell out months in advance. To avoid tickets selling out, you can book one of the Authorized Pearl Harbor Tours. They are permitted by the National Park Service to provide transportation and tours to the site. Admission/Tickets to the USS Arizona Memorial are free. However, tickets reserved in advance are not free. When you purchase a tour, tickets are reserved in advance. If you plan to visit Pearl Harbor on your own, you may purchase advance tickets online before they sell out. You may attempt to get walk-in tickets at the Pearl Harbor Visitor’s Center. Tickets are available on a first come, first serve basis. All members of your party must be present to receive a walk-in ticket. All of the walk in tickets are often secured by visitors who arrive before 7:00am. The wait for walk-in tickets can be up to 7 hours. Tickets for the Battleship Missouri Memorial, Pacific Aviation Museum, and the USS Bowfin Submarine Museum & Park are available on Pearl Harbor Tours. Tours are self-guided, and last 75 minutes (1hour 15 minutes). The movie is 25 minutes and the remaining 50 minutes is the round trip boat ride and time on the Arizona Memorial. Tours provide additional free time to visit the Museums/Exhibits. There are concession stands at the Visitor Center which sell snacks and beverages. There are also concession stands and gift stores at the nearby Bowfin Submarine Museum & Park. While on the Arizona Memorial program (movie, boat, memorial) only bottled water is permitted. Food and drinks are permitted in the visitor center, but please remember to adhere to the no bags rule of the Pearl Harbor Security Policies. Hawaii is a warm and sunny place. 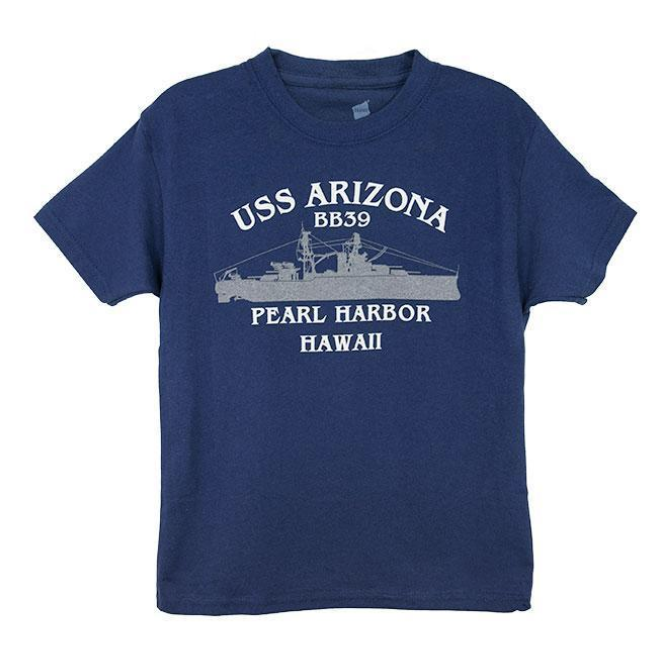 We recommend wearing sunscreen and a hat to protect from the sun when you visit Pearl Harbor. It occasionally rains and visitors should pack rain jackets when visiting Hawaii. Check the weather before you visit Pearl Harbor to determine if it is necessary. Be sure to wear comfortable shoes as you will be walking a great deal during your visit. Sandals are permitted. The Arizona Memorial is a place of honor. The men of the Arizona lay inside their ship. We encourage visitors to dress respectably. Bathing suits and other similarly revealing clothing, as well as profane t-shirts are discouraged. Rangers have the authority to prohibit entry for inappropriate clothing. All areas of the Pearl Harbor Visitor Center as well as the Navy shuttle boats, and the Arizona memorial are wheelchair accessible. The 25 minute movie is fully captioned. There is an induction loop for use with hearing aids. Signage is in braille and many of the exhibits have tactile models. Click here for here for a braille-ready file (BRF), of the park brochure. Please see our current Pearl Harbor Security Policies for current information. No bags are allowed. Pack lightly. Foreign Language brochures are available in over 30 languages at the information desk. Foreign language audio tours are also available for a fee. There is a bookstore near the front entrance of the park and a gift shop at the nearby Bowfin Submarine Museum & Park.